The Meralco Bolts is scheduled for a head-to-head game against the Talk ‘N Text KaTropa Texters at 6:45 P.M. on August 19, 2018 live from the Ynares Center-Antipolo. The Bolts are eager to make a two-game winning streak and take the number spot of the early 2018 PBA Governors’ Cup standings while the KaTropa wanted a quick bounce-back after they got surprised by the Road Warriors few days ago. 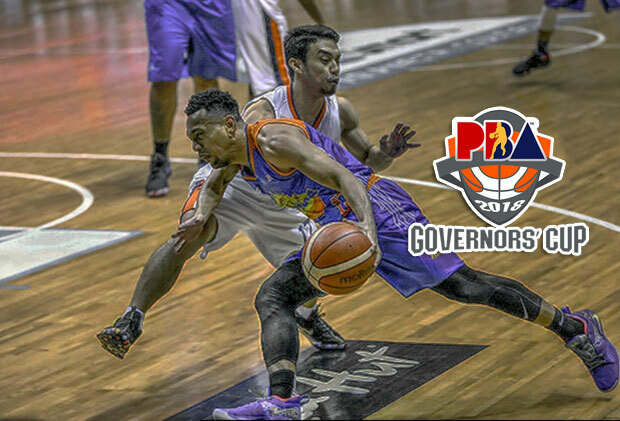 The 2016 and 2017 PBA Governors’ Cup Best Import is back in town and immediately made his presence felt as they battle Columbian Dyip last Wednesday. Allen Durham teased a near triple-double performance with his 26 points, 20 rebounds and nine assists. Most of his scoring damage came in the third quarter where the entire Meralco Bolts scored 42 points in that period alone. With Chris Newsome got in foul trouble early in the game, it was Baser Amer who took over the slack in scoring. Likewise, there’s Mike Tolomia who seems can’t miss from three-point as he converted 4-of-5. On the other hand, Talk ‘N Text needs to create a better plan if they wanted to avoid back-to-back losses and be the first team to lurk at the bottom of the standings. With the adjustment of PBA for the 2018 Asian Games, most of the ball-clubs will have to play two games straight. “It’s hard to think about that (loss). Ang importante is (for us to) prepare agad for the next game,” he said. Terrence Romeo led the charge of coach Nash Racela two nights ago with his 27 points. However their import struggled and got outperformed by his Road Warriors counterpart in their last outing. Mike Glover only managed to log eleven points and 15 rebounds. His coaches along with his local teammates are expecting more from him. “Of course, you expect more. We always expect more from them,” Racela said.